After weeks of planning and work, our crew is prepared for a major client dive with a local, well respected celebrity whose keen interest and understanding of sixgill sharks will take us down over 400 feet in Elliott Bay, a part of Puget Sound that is within a stone’s throw of downtown Seattle. In partnership with the OceanGate Foundation and the Seattle Aquarium our goal is to highlight the importance of ocean health and welfare in addition to locating and documenting the behavior of the rare sixgill sharks. Antipodes being prepared for crane launch at Bell Street Harbor. 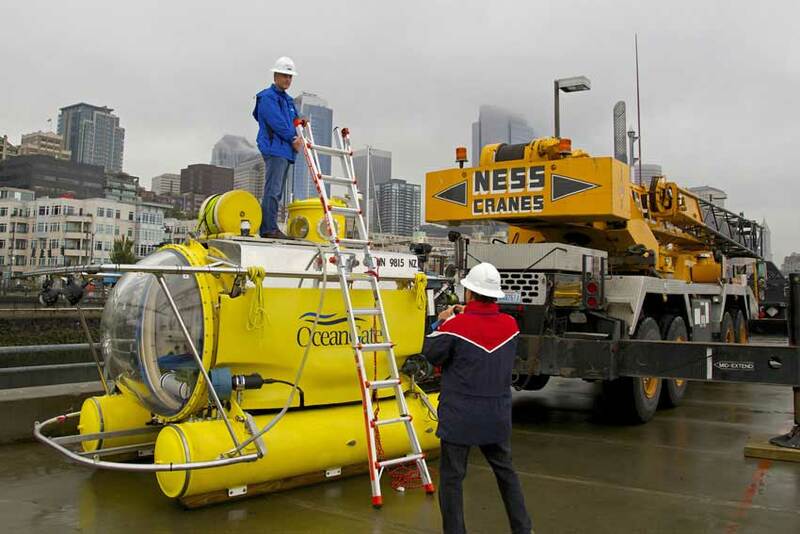 Our trusted submersible, Antipodes, is being readied for the challenge. Pilots, technicians, topside crew and other staff have countless hours of preparation for the upcoming dive. One might ask “why all the fuss”? As one can probably imagine, preparing and carrying out a successful submersible dive mission takes lots of planning, careful coordination and great communications. To ensure the health and safety of all involved, we take every action to avoid unnecessary drama, distractions and loss of focus so we are better able to execute necessary mission objectives. Regarding our upcoming engagement, we will be searching for the elusive sixgill sharks, which inhabit the depths of Puget Sound. To better to ensure success, Dr. Erika Montague, Director of Science & Technology for OceanGate, Inc. is leading the efforts to bait the dive location in advance in hopes of attracting a large grouping of sharks. 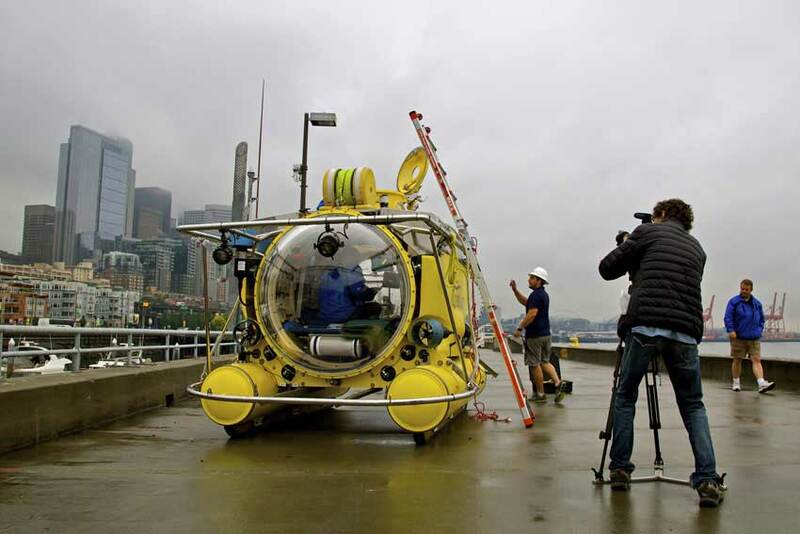 We will commence our first series of dives on the morning of July 23rd after launching Antipodes from Pier 66 in downtown Seattle at Bell Street Harbor. With support services provided from local Ness Cranes, Antipodes will be carefully hoisted up and launched directly into the sea. This requires operational excellence on our part in order to maximize dive time while limiting unnecessary wear and tear on the submersible.